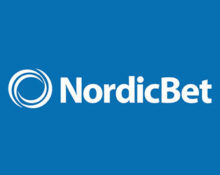 NordicBet – Viking Adventure Weekend! Play for big cash and bonus prizes! Go berzerk with the Vikings for up to €1,000 in cash! Up for another thrilling race after reaching Nirvana last weekend? 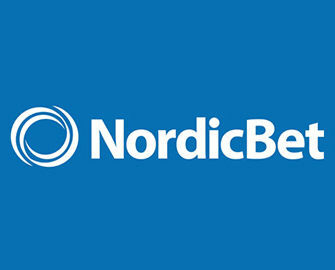 Then spin on Vikings Go Berzerk from Yggdrasil at NordicBet to compete against your fellow players for a share of the €3,000 prize pool in cash and bonuses. Play with any bet size and score the highest coin wins on a single spin to place on the leader board for your chance to bag some extra cash or bonus money. Get spinning! NordicBet – Monday Bonus: While you are competing in the race, do not forget that you could qualify for a generous Monday Bonus. Opt-in on the promotion and simply wager minimum €250 on slots or Live Casino tables to earn a mystery bonus, credited every Monday evening. Just right to start the new gaming week. The more you wager, the better the bonus. Exclusive for players from Finland, Norway and Sweden. Grab some extra cash or bonus money in the Weekend Cash Race at NordicBet. Play the game of the weekend, Vikings Go Berzerk, starting 10:00 CET on Friday, and finish in the TOP50 to get a slice of the generous €3,000 prize pool. Start spinning now as the race will end by midnight on Sunday, then enjoy the spoils on Monday. OPT-IN on the promotion page and climb to the top of the leader board until Sunday midnight by scoring the sum of highest single coin win on the game of the weekend. A tournament tab within the Viking Go Berzerk game client displays all relevant information and a live leader board. The TOP50 scorers will share the prize pool with prizes, credited within 24 hours after the tournament ended. Wagering requirements for the bonus prizes are 10x prize amount within five days, subject to the NordicBet bonus terms and conditions. Launched in 2002, the website is operated by the acclaimed BML Group Ltd. under MGA Malta and UK Gambling Commission licenses. 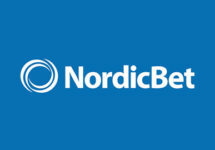 NordicBet offers Sportsbook, Live Bet, Casino, Live Casino, Virtual Sports and Poker with games available on desktop, mobile and tablet from top providers such as Netent, Big Time Gaming, Blueprint Gaming, Core Gaming, Elk Studios, Fantasma Games, IGT, iSoftbet, Jadestone, Leander, Lightning Box, Microgaming, NextGen Gaming, NYX Interactive, Play’n GO, Quickspin, Scientific Games, Red Tiger Gaming, Thunderkick, WMS and Yggdrasil. The Live Casino tables are powered by Evolution Gaming, Extreme Live Gaming and Netent Live. NordicBet – Win Daily Must-Drop Jackpots! NordicBet – Random Viking Treasures!